Keith Mitcham is part owner of Strategic Financial Advisors. He has earned his BS degree in education from the University of Houston. He also holds a Master of Science (MS) degree with an academic emphasis in financial planning from the College for Financial Planning. The Master of Science degree is the highest level of financial planning education available from the College for Financial Planning. He holds the certification as a CERTIFIED FINANCIAL PLANNERTM professional, CHARTERED RETIRMENT PLANNING COUNSELORSM Chartered Financial Consultant (ChFC), Accredited Investment Fiduciary® (AIF) and Chartered Life Underwriter (CLU). 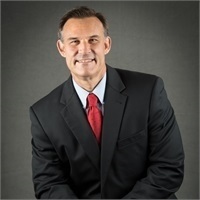 Since 1983, Keith has worked with individuals in the areas of investment analysis, retirement planning, income tax and estate tax/transfer planning and insurance design. His practice has provided financial planning advice for families, executives, and business owners. He has taught personal finance and investments in both public and private workshops and for major corporations. He is a member of the Financial Planning Association. The Five Star Wealth Manager award is not indicative of the wealth manager’s future performance, and the award does not evaluate quality of services provided to clients.